Trip to Jejudo! Three members got privilege to go to Jejudo by plane that took only an hour trip while the rest had to experience 13-hour trip by boat. 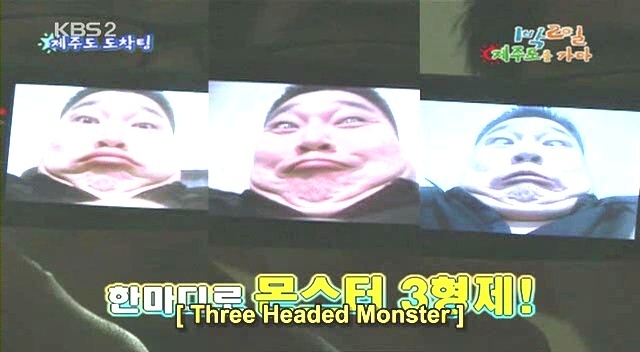 During the trip, a three headed monster made a horror appearance while teacher Lee Seunggi got speechless trying to teach english to ignorant students.